The scene is familiar – dimmed lights, phone on silent, takeaway en route and Netflix ready to go. Well, recognizing the needs and habits of its users, the streaming company has come up with what it’s calling “The Switch” – an internet-connected button that can do all of the above with one press. 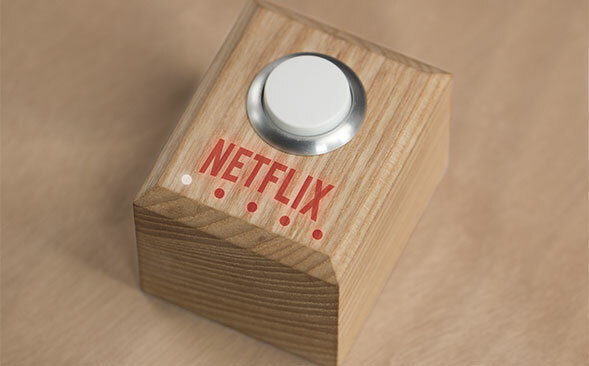 However, Netflix won’t be selling the device anytime soon; instead, it’s released detailed instructions for users to create their own buttons. Depending on your technical know-how, you could essentially program the device to do almost anything you want, like automatically picking up where you left off. Or maybe someone can make one that helps find a date, so the button really lives up to its name.